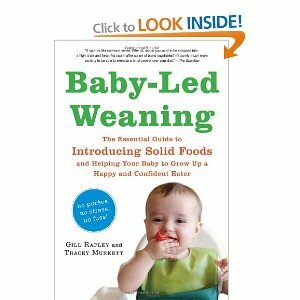 Baby-Led Weaning: The Essential Guide to Introducing Solid Foods-And Helping Your Baby to Grow Up a Happy and Confident Eater. So funny when I have spent the last few weeks being terrified about Aaron reaching 6 months for this very reason. Oh, Aaron's favourite toy at the moment is his feet/toes. Will upload photos in the next couple of days. Won't spend as much time on here though, as my Mum is here for the weekend and I have my work xmas party tomorrow. AND one of them was a whole box of boy's clothes from one of my closest friends Nina. She has sent some superb stuff, and I can't wait to dress him in it all and see how he looks. She's even sent a suit - Aaron will be very posh.